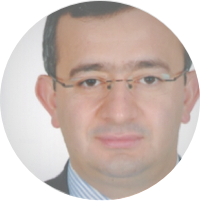 Fatih is a former lecturer in political science from Turkey. He graduated from Hacettepe University in 2003 and finished his masters in 2010. The Turkish government shut down many universities after the failed coup attempt on 15 July 2016, including Fatih's own while he was studying for his PhD. Consequently, he could not complete his studies or come back to his job. His academic interests are the issues surrounding politics, Islam, and democracy.